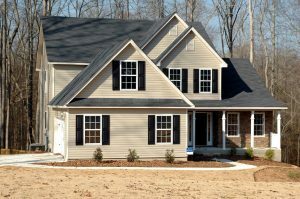 When considering the purchase of a home, most buyers request a whole house inspection to ensure the structure integrity and safety of their future home. One area that is frequently overlooked and that is not included in the whole house inspection is the household sewage treatment system (septic system). A malfunctioning or failing septic system could cost unknowing home buyers thousands of dollars to repair or replace. Hamilton County Public Health helps home buyers avoid unforeseen repair or replacement costs by offering a septic system inspection service prior to the purchase of a home. The service is voluntary and is available within the Health District’s jurisdiction (excludes city limits of Cincinnati, Springdale and Norwood). To request an inspection, click here, or call Water Quality staff at 513-946-7966. Once an inspection fee has been collected, an assigned sanitarian will conduct a records search to determine if the system’s inspection certificate is up-to-date, as well as to identify any system complaints. All access risers and distribution boxes are not at grade. Brush or grass over the system exceeds 12 inches in height. The septic tank or aeration system has been pumped within 30 days of the evaluation request. Snow depth exceeds two (2) inches. A report containing inspection findings and recommendations will be mailed to the homebuyer upon completion of the inspection. Please note: The evaluation results are rendered without complete knowledge or observation of some the individual components of the home sewage treatment system and applies only to the date and time the evaluation is made. The opinion does not grant or imply any guarantee or warranty of the future performance of the home sewage treatment system. *Does not apply to stand alone aeration treatment units.